When I started writing loneswimmer in 2010, almost four years ago, I didn’t add a single image for months. I was learning to write regularly, learning, as I still am, to express my thoughts about swimming, and trying to stick rigidly to one of my guiding principles, not always easy for any Irish person, and especially me, of keeping this blog to the subject! But with the blog writing, the demand for illustrative images grew, and I didn’t like searching for vague random images. Why not just start taking my own? So it started. The photos were initially purely illustrative, and for the last two years, I have been getting more on top of the technical aspects. I think I mentioned in Part 1 of Images of 2013 – People, that I just completed a 365 project, as it’s known in photography, a shot every day for a year, and as I reviewed the year, my progress and improvement and increasing technical ability, it struck me, not for the first time, that the photographs I most love capturing, that I spend the most time on, that I chase the most, nearly all involve water: whether the sea, rivers or lakes (to a lesser extent , as like swimming them, lakes can be boring to photograph). Beginning photographs are sometimes advised to find their photographic passion. It turns out mine was exactly what anyone reading here could have predicted. 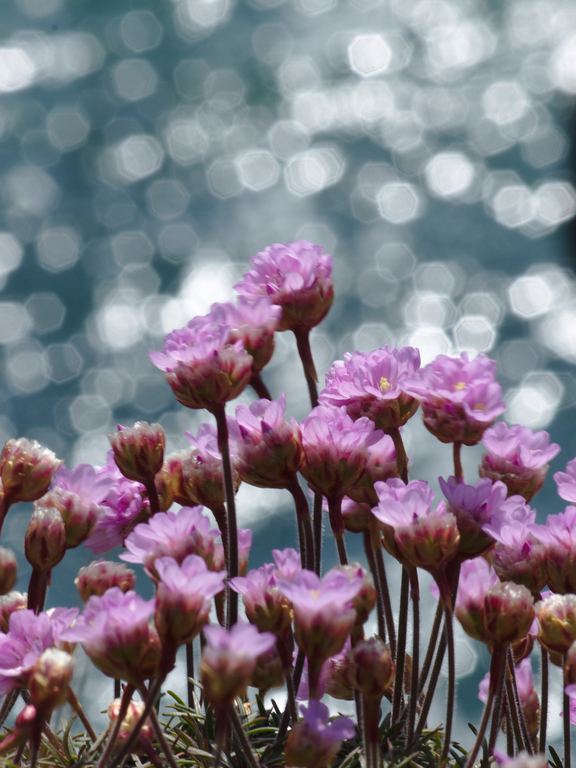 Sea pinks were one of the first things I loved photographing around the coast. I am limited in my ability to photograph actual open water swimming to a few events where I am crewing. Otherwise I have no exposure to swimming galas or open water races where I am not swimming. But I guess it is no surprise that I have an affinity for water. 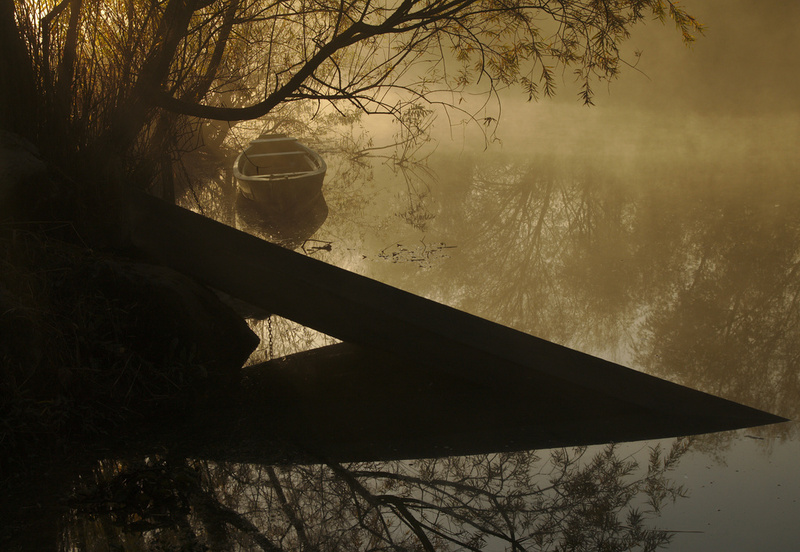 Last year I did a round-up of what I though were my best images, but for this last round of my images of 2013, I thought I’d explore my favourite watery images of the year. The shot below was taken on a very cold January Saturday morning. I’d been at Newtown Cove since before dawn, been there for about two hours. I hadn’t taken anything of merit, though I didn’t realise that at the time, and I was almost as cold as if I’d already swum. I was just starting to play with longer exposures at that time. I left Newtown Cove, putting my gear in the car and wandered down to the Guillamene Cove before I went for a swim. No tripod, no remote, just a handheld camera and the cove was in deep shadow. I braced the camera on the railing and tried to hold it steady in the breeze. Of course I was back in Varne and Dover this year a few times. 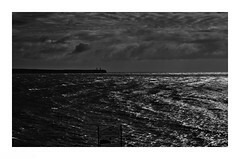 Every time I return to Dover and Varne I hope I’ll get a chance to shoot some better pics for myself but the nature of Channel swimming and Varne and Dover, is a lot of hurry-up-and-wait. I can’t spend dawns and sunsets off by myself chasing photographs and I’ve looked off the Varne cliffs as often as any Channel swimmer. 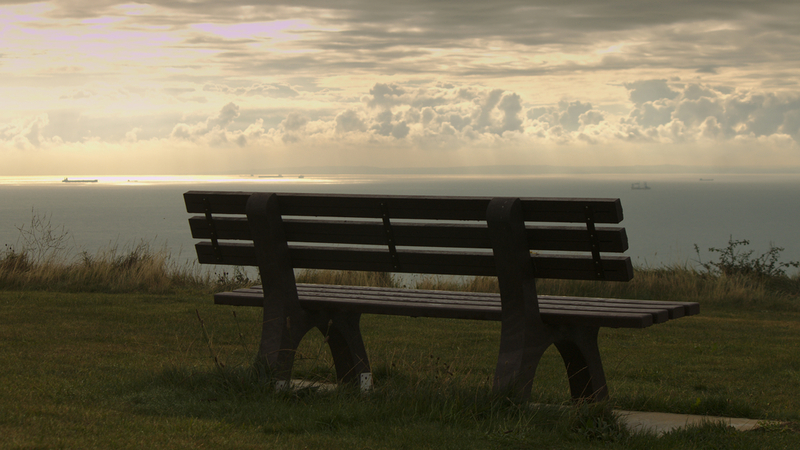 This year, I did want to shoot one thing in particular though, that I have also shot before: In November 2012 a bench was installed in the Varne clifftop garden by Sandycove swimmers and friends to commemorate Páraic Casey and his tragic loss in the English Channel and while I’ve taken quite a few shots of it, I didn’t feel I’d done it sufficient justice. I’m not sure I have yet captured it as I want but I shall keep trying. 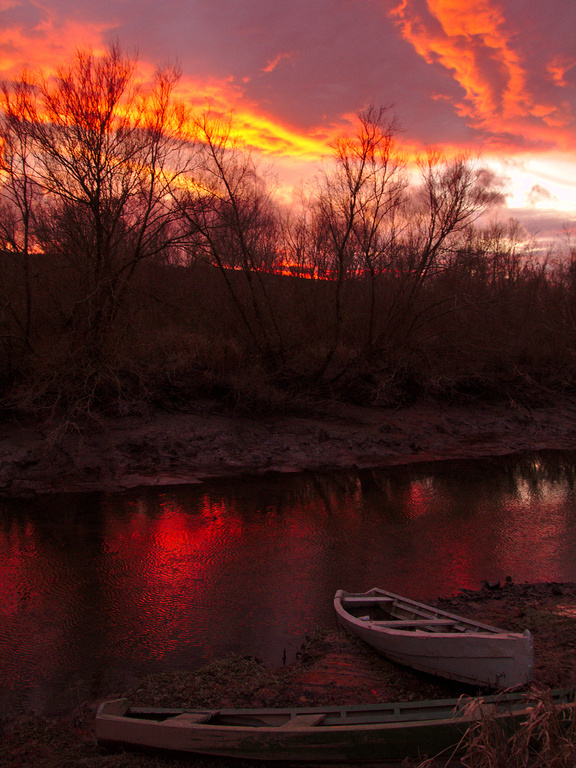 I live close to the river Suir, one of Ireland’s longest rivers. 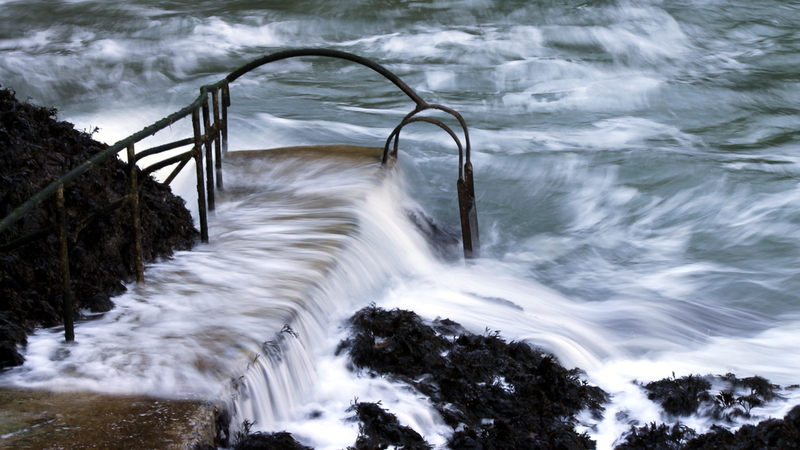 Rivers are more changeable than lakes, but less mercurial and unpredictable than the sea. The cool blue dawn light is the best time to capture the river. 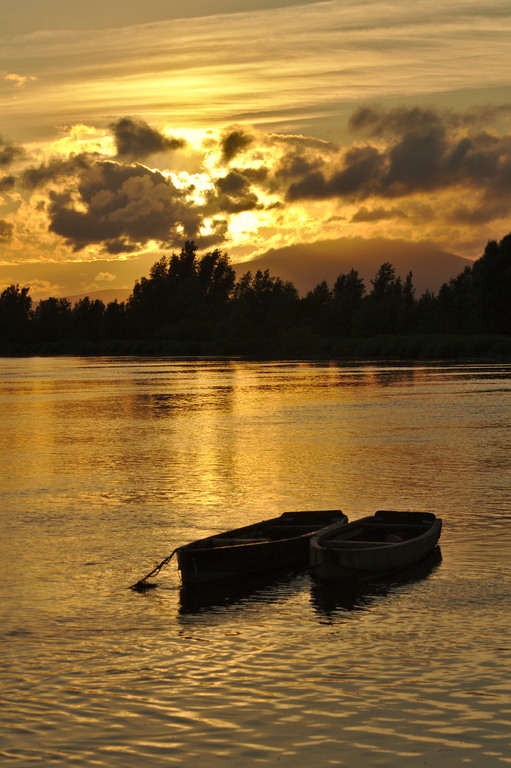 But the golden glow of evening enhances the river and adds further depth to the name of the river Suir valley; the Golden Vale. I do however notice other rivers than the Suir. 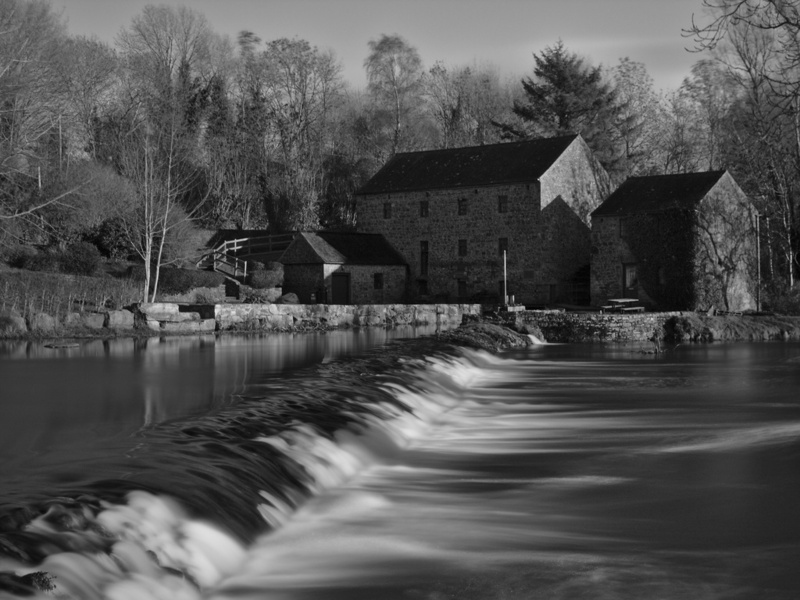 Abhainn na Ri, the King River, rushing over the weir past the old mill in Kells in Co. Kilkenny. Kilfarassey on the Copper Coast I mention frequently, as it’s my alternative main Copper Coast swimming location, which offers a range of challenges, routes and explorations. Not everything is open water. A swimming photographer with a simple waterproof camera, (before he kills it, another one gone) will always be on the lookout for the shot that the non-swimming photographer on dry land can’t see. 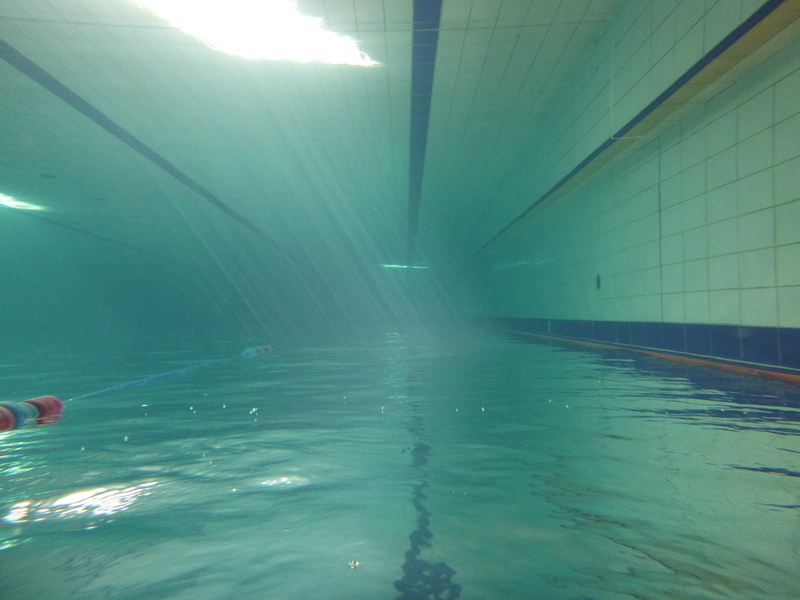 This photo intrigued quite a few non-swimmers who saw it on a forum as I explained what an upside-down sunny pool looks like to a swimmer going through a flip turn. In summer I traveled south-west to Kerry, the greatest of all Kingdoms, for Rob Bohane’s record-setting Round Valentia Island swim. Travelling out of Glenbeigh in the late long summer evening, Dingle Bay was quite spectacular. 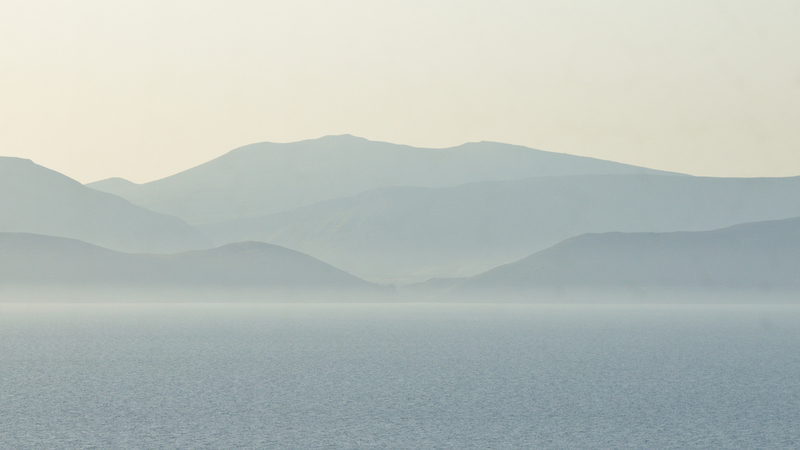 The blue-layered sunset mountains of the Dingle Penninsula across Dingle Bay. 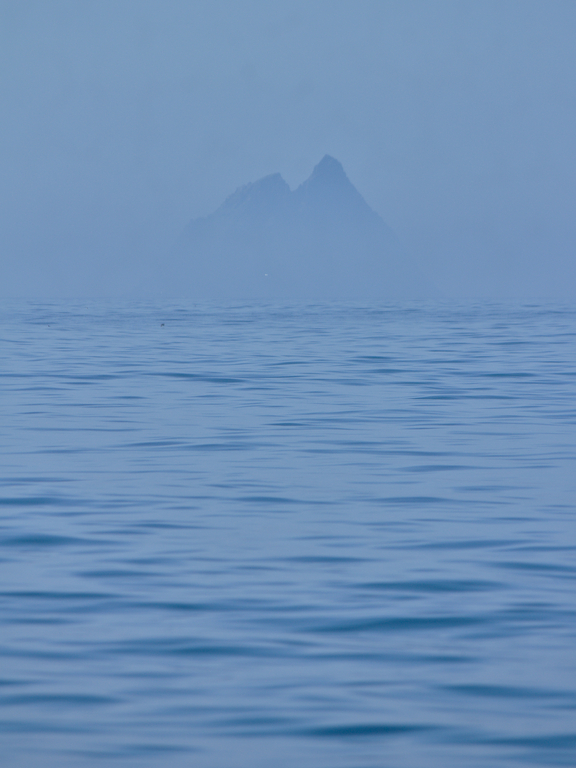 The next day the distant crag of Skellig Michael island was barely visible from the boat, through the haze of what later proved to be the single best day of summer. Toward the end of the year, I was still shooting on the river, using the different lower angle and setting point of the northern latitude Sun. 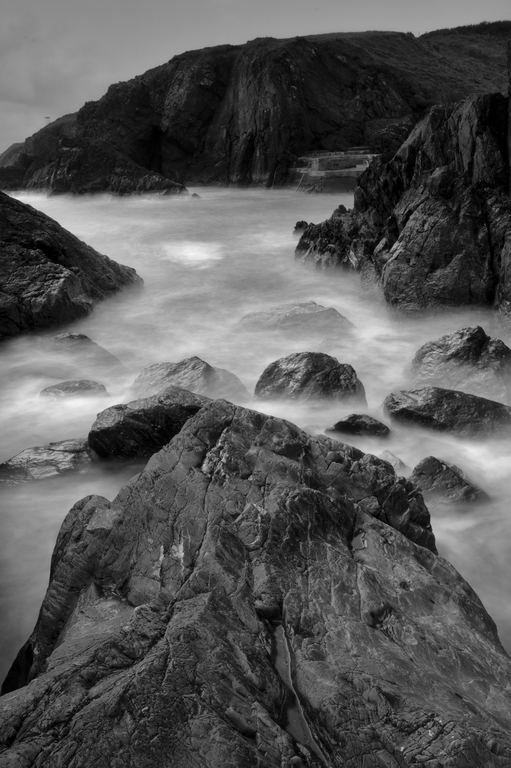 As I swim almost every weekend in Tramore Bay during the winter, I revisited a location on the cliffs from where I like to shoot, as recently I’ve been shooting a lot of black and white long exposure landscape and took my own favourite shot of the year. It looks gorgeous printed. Hint! If anyone is looking for a full resolution print of any of these, we can do that. Limited edition and signed! At the end of a year, I’m happy with my photographic progress. Water inspires me, transfixes me. I may have missed a few of my favourite shots in this quick roundup. If you want to see a wider range, here’s my Flickr account. I can guarantee, there will be water! Oh so moody! Just love the images. 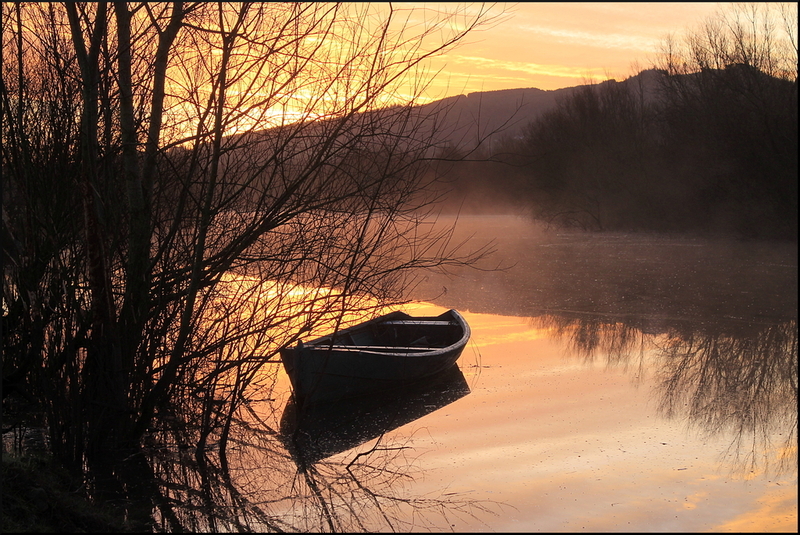 Lovely shots, Donal, and I agree with swimdaily; you have captured the emotion of the places. Have you shot the emotions in swimmers’ faces or postures? I’d love to see you tell some human stories through your lens. Lovely shots, Donal, and I agree with SwimDaily; you have captured the emotion of the places. Have you captured those emotions in swimmers’ faces and postures? I’d love to see you tell some of your human stories through your lens. Awesome photos! You could make a wonderful calendar with those! Inspired…..looking for something to get me back into water. Time to explore in 2014. Thanks again for great reading in 2013. Thanks Lar. Exploration is a great motivator! Have a great 2014. I love these photos! Well done. Don’t know how you find the time amongst everything else you’re doing – swimming, writing, helping others with their swims! Hah, thanks Iona. I don’t know either. Luck plays a part, and as my significant other says, “*will you ever leave that bloody camera behind you* “? I love your blog–and love these photos and your others. I think what appeals to me about your water shots is that it isn’t just a water/landscape but that the water reads as having an emotion or mood. Or maybe I’m reading too much into it. Totally possible! But thanks for your informational content as well as the artistic. Thank you very much. I agree with you about the moods, it’s something I now try to portray,it’s easier to do with the sea, the river tends to be mostly quite calm and mellow. Have a happy & healthy new year.